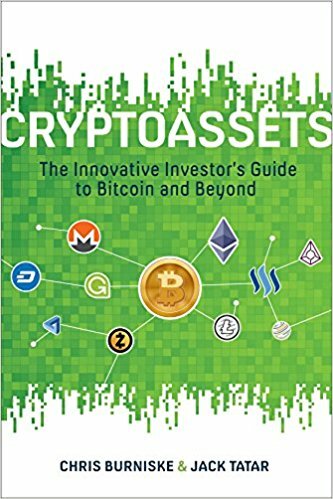 Author of Cryptoassets: The Innovative Investor's Guide to Bitcoin and Beyond. The SEC recently denied the Winklevoss Bitcoin ETF and SolidX Bitcoin ETF, exchange-traded funds that proposed to track the value of the cryptocurrency, bitcoin. But there is another proposal for a Bitcoin ETF that will likely be decided upon later this year, and the Winklevoss ETF rejection is under review. Learn about what’s next for Bitcoin in the capital markets, and how Bitcoin could be incorporated into existing portfolios. Furthermore, this new asset class goes far beyond Bitcoin, with examples like Ethereum and Ripple now holding US$7 billion and US$2 billion in value, and the aggregate market cap of cryptoassets now totaling nearly US$40 billion in value. This talk will address what the future holds for Bitcoin and other cryptoassets, and why this emerging space goes far beyond currency. Chris Burniske is a cryptocurrency expert and partner at Placeholder Capital, a crypto assets investment firm. 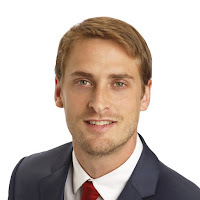 From 2014-2017, Chris worked at ARK Investment Management, covering big data, cloud computing, cybersecurity, and cryptocurrency. After ARK became the first public fund manager to invest in bitcoin, Chris transitioned to the role of Blockchain Products Lead. He collaborated with the ARK business development team and performed deep dive research on the cryptoasset space. Chris has contributed to CNBC, Bloomberg, WSJ, USA Today, the Guardian and other media outlets on topics relating to Bitcoin, Ethereum and more. He also chairs the Blockchain Assets Working Group for the Wall Street Blockchain Alliance, and is author of the 2017 book, Cryptoassets: The Innovative Investor’s Guide to Bitcoin and Beyond.